The Weighted Spectral Toolbox is a matlab toolbox for use with undirected graphs. There are several functions in the toolbox but the main ones obtain the best fit (in the weighted spectral sense) of a topology generator to a target graph. See the readme file for more information. 1. Produce a weighted spectral distribution for a given network (adjacency matrix). 2. 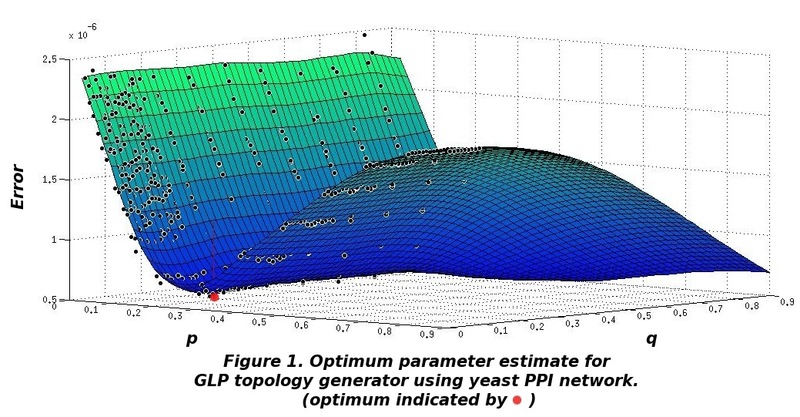 Tune the parameters of a of topology generator to match a given target graph. 7. Native code to generate the degree correlations in a network and including a fast algorithm to calc the assortativity and graph auto-correlation function. When referencing your usage of this toolkit please cite reference 1. [*] This work was started while Damien was a Research Associate at the Computer Laboratory, University of Cambridge. [**] This work was started while Hamed was a visiting PhD student at the Computer Laboratory, University of Cambridge.